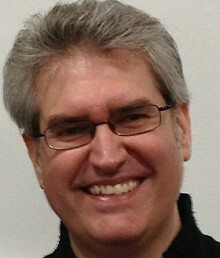 British author Paul Kane writes in a variety of forms. Meeting fans at conventions always has a positive effect on me, for example just the other weekend I guested for the second time at Edge-Lit in Derby and had a great time chatting with people who'd read my books. I try not to let what people say effect what I'm going to do with stories in the future, though, or the way they're going to go. It's always better to write what you want to write - you'll do your best work that way. Some readers will love it, some might not, but it's better to be true to yourself as a writer first and foremost. The general encouragement of other writers and people who read my work back in the early days of my career kept me going sometimes, whether it was at those first Terror Scribes meetings or later at the British Fantasy Society. Writing and editing is a very solitary business, so it helps to get yourself out into the writing and reading community; it really lifts your spirits. That's got to be the incredible talent that is Clive Barker. He changed everything for me when I read his Books of Blood in the '80s and saw movies like Hellraiser and Nightbreed. I honestly wouldn't have a career at all if it wasn't for Clive, as an inspiration, influence and - over the last ten years or so - as a wonderful mentor and friend. I honestly can't speak highly enough of Clive and his work - whether it's the fiction, the films, the plays or the paintings. And my favourite piece of his? The Hellbound Heart and consequently the movie based on that work, Hellraiser. It sparked an obsession with that mythology which still fuels a lot of my work today, from editing the Hellbound Hearts anthology to designing and writing the origins of the Scribe Configuration puzzle box. Obviously my lovely better half, the wonderful Marie O'Regan - a brilliant writer and editor in her own right. I have a few people in mind, but it really wouldn't be fair to name them here publicly. Not really a teddy bear kind of guy, so I'd probably take some of Clive's Books (as many as I could get away with) and I'm rather partial to a drop of Jameson's so I'd try and find some room for a bottle or two of that as well. You're not going to please everyone all the time, but if some people get enjoyment out of my fiction and non-fiction then I think I've done a good job. There are themes that are important to me in there as well, but people take different things away with them from books anyway. So, if they feel like they haven't wasted their money, then that's good enough for me. Probably the same answer for that one, if people bought and enjoyed my work then that's pretty damned satisfying for me. 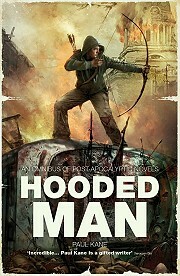 For example, the Hooded Man omnibus - collecting together my Arrowhead trilogy, about a post-apocalyptic version of Robin Hood (http://rebellionstore.com/products/hooded_man) - sold out of its initial print run incredibly quickly and that delighted me, as you can imagine. It shows me that I'm on the right track with my writing. I'm also getting more into script-writing of late, turning some of my stories and books into short film scripts or features, and I'm really enjoying that. Lunar is set to be made by a director friend of mine, Brad Watson, for a UK production company and that's quite exciting for someone who was raised on movies... In terms of what might be satisfying for readers, I guess you'd have to ask them.